Since the weather is warmer here in Iowa ( the 40s! ) we've been going for lots of walks with the puppies at the park. Which, of course, means they run around and roll in the mud, we give them a bath, and the cycle repeats itself. We've got it down to a science ..
Are there topics you'd like to discuss? Would you like to see more of a certain kind of recipe? There have been topics about health & nutrition .. fun facts about food .. nutrition .. and the body. 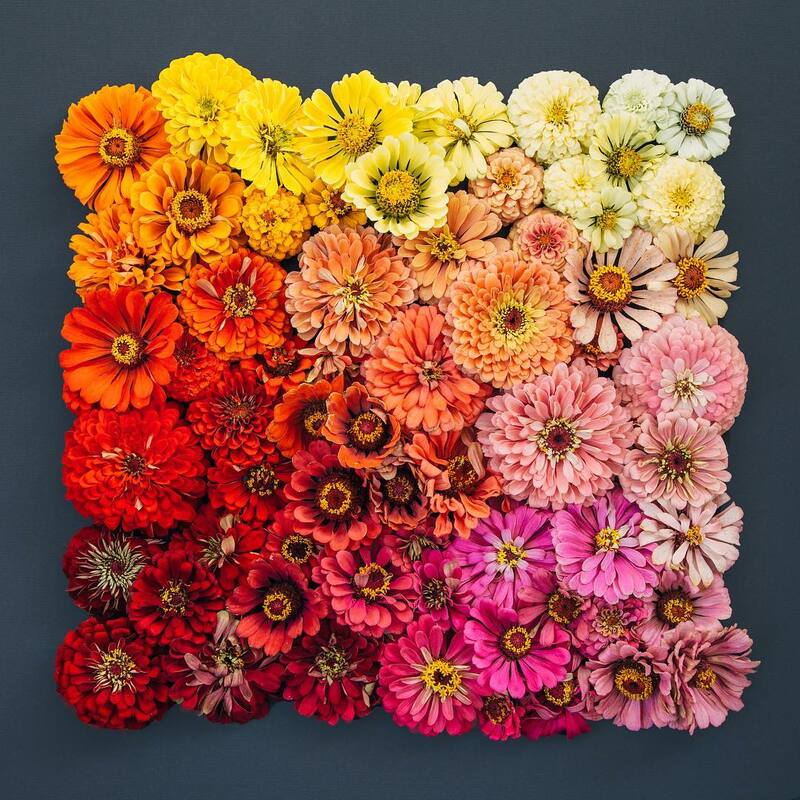 Who to follow in the world of wellness .. and resources to explore on our own. But is there anything specific that's on your mind? Or that you'd like to read more about? Smoothies? Kitchen Gadgets? Specific vitamins & minerals? Going gluten-free? Fermented foods? Healthy treats for the pets we love? Cookbooks? People who inspire? Superfoods? The best meal to impress a girl that's easy to make? In the meantime .. whatever you're up to this weekend .. I hope you're having a good one! Preheat oven to 350 deg F with a rack in the middle. Toast hazelnuts on a rimmed baking sheet, tossing halfway through, until golden brown ( ~ 6-8 minutes ). I look forward to more pasta recipes! How about menus that can be done in less than 30 minutes? Thanks! I look forward to more pasta recipes! How about menus that can be done in 30 minutes or less? Oh my goodness that looks amazing. I really want to make this, I like that it looks fairly straightforward too. The perfect winter warmer. Yum!! How lovely that your husband is home and your getting to enjoy lots of chilli! There is something wonderful about getting out to the park with your pups as well, and yay for warmer weather. Hi Ali! We’re comfort food carb-loading at our house (don’t tell, everybody else is on an eating healthy bender) Come to think of it, not a week has gone by in the last five years in which we haven’t cooked pasta at least twice. I know! We even had a little neighborhood pasta party last week. So, please keep the pasta recipes coming ? I’ve never tried butternut squash before, but I think now I’m defo going to have to give it a try, it looks delicious. ? Is it really only one space after a period now? I will have to adopt that. I am already wearing leggings, booties and using contouring blush and highlighter to assimilate. lol. This blog was a great way to take inventory of the blogs already written. I can’t wait to dive into them. And this recipe looks delicious too. I look forward to your recipes in 2018, and if I had a request it would be learn a little more about Ohio and the surrounding area, like where do you hike or camp? or go to spend time outdoors. Is it really only one space after a period now? I will have to adopt that. I am already wearing leggings, booties and using contouring blush and highlighter to assimilate. lol. This blog was a great way to take inventory of the blogs already written. I can’t wait to dive into them. And this recipe looks delicious too. I look forward to your recipes in 2018, and if I had a request it would be learn a little more about Ohio and the surrounding area, like where do you hike or camp? or go to spend time outdoors? That being said, I can’t wait to try this with the big squash sitting on my kitchen counter! I would love to hear more about kitchen hacks and even substitutions. Like I know greek yogurt and applesauce can be used for butter, right? 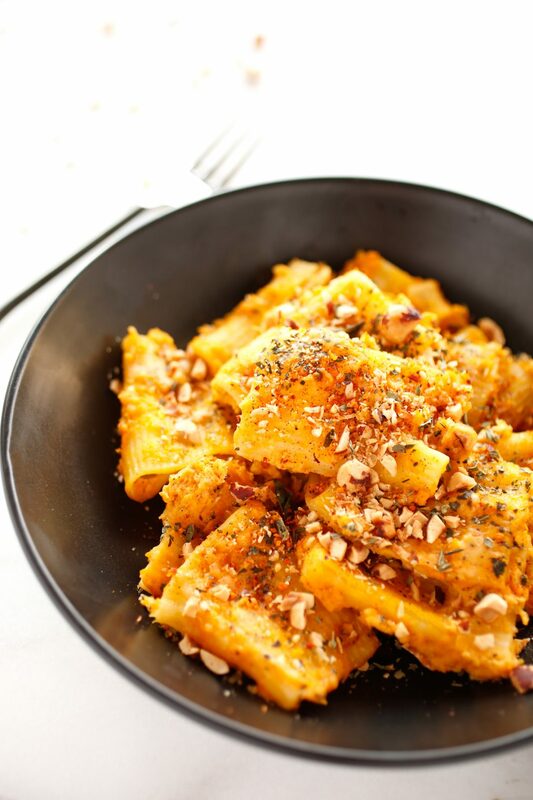 This butternut squash pasta seems finger-licking and I am going to make it very soon for sure! What kind of onion do you use for this recipe? I’ve been trying to kick the habit of two spaces after a period but it was ingrained in me in those high school typing classes. 🙂 I didn’t grow up eating butternut squash. We always ate the yellow, crookneck squash in our southern home. I need to venture out and try your recipe. It really does look like a 5-star dish! It looks like your 10 week challenge is doing well, I’m sure you’ll get a healthy habit out of it. 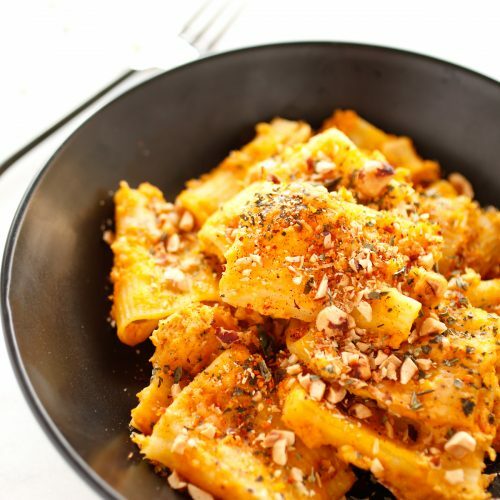 The baked butternut squash pasta looks really tasty. Delicious! We had friends over for dinner tonight and I made this as a side. So good along with roasted chicken and a big kale salad. By far the pasta was the biggest hit, zero leftovers. Would definitely make again and double it for a crowd. 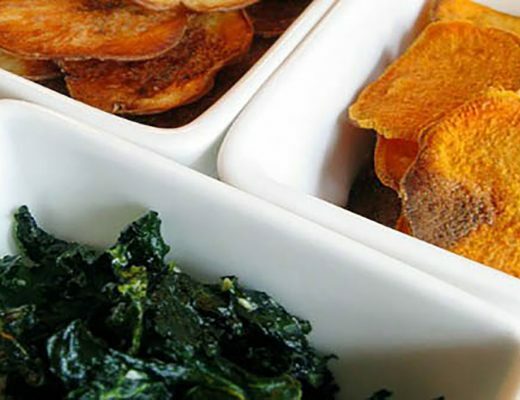 Can never go wrong with baked butternut squash. I have never done mine as elaborate as your recipe but am interested in giving it a go. Looks really yummy. Ahh how lovely to have your husband home! Im sure he is enjoying all of your gorgeous home cooked food! That pasta dish looks delicious, I so wish I could cook like you do! I’m glad your husband is home! My husband is in the military so sometimes he travels a lot as well. It’s always nice when he returns. I’m always looking for new recipes to try and this seems like a great one to try. Pasta looks amazing I’m going to have to try this soon!! I am with you on that, definitely a recipe to try ASAP as it sounds like it would be absolutely delicious! I love your stories. Cooking conjures up so many memories of growing up, cooking with or just watching my grandma and great grandma in the kitchen and I really hope you’ll continue sharing more stories and recipes with us as the year goes on. I havent had pasta for a very long time! 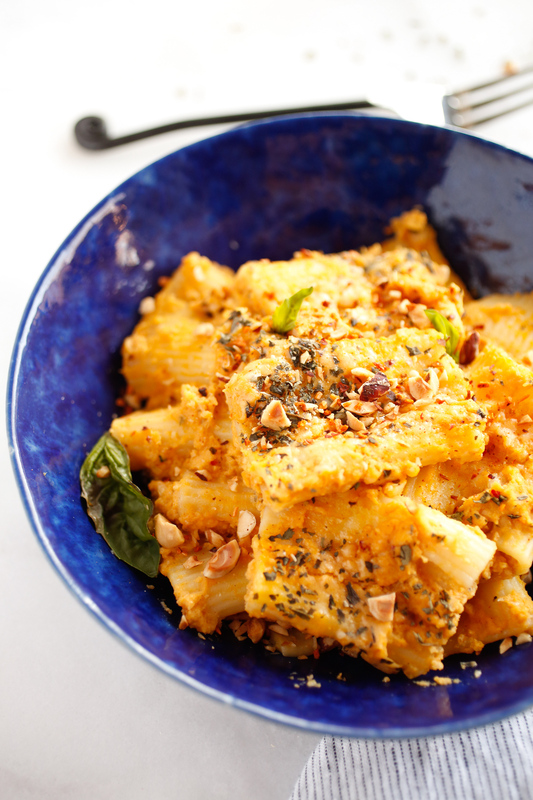 I love anything with butternut and I think this is gonna be a perfect dish to celebrate a good day today! Keep the carbs rollin’ sister! I made your olive oil/rosemary cake a week ago and loved it. This afternoon I’ll be on a mission to find a butternut squash and some big noodles so can recreate this amazing looking pasta dish. Cheers! Did you have a nice weekend with your husband home? I’m jealous of the weather you’re having there, here in Yorkshire (England) we have bitterly cold wind, snow and ice and dull grey days. We’re big fans of squash but I’ve never tried using it as a sauce so definitely going to recreate this soon. This recipe is truly a comfort dish for this chilly time of year. I love everything butternut squash and actually live right near a farm that produces the squash for much of our area. I need to add this to my menu. My husband used to work a lot of jobs so I would hardly see him so I do understand exactly where you’re coming from when you just want to spend time with each other. This food looks amazing I think it is something I need to add to my meal plans. This recipe looks really yummy. I was wondering if that were chickpeas tossed in there but I see now that you used hazelnuts. I’m leaving for Italy in early March and I’m going out of my mind with anticipation. Thanks for getting my taste buds all warmed up! That looks delicious. The huge pasta really makes it. It’s also a fantastic idea to add nuts for extra flavour and texture. Made this tonight. Worked fantastically. I did sprinkle pancetta on top since I had some in the freezer and I even sprinkled some breadcrumbs on top. Great texture and flavor. It’s a comfort food that isn’t that terrible for you. This sounds like a unique pasta dish. I’d love to give it a try instead of the same old marinara pasta! I love how you set the mood with your music choices! My daughter said “You should make this when we have grandma and grandpa over this weekend” This dish is divine. Like a butternut alfredo, but healthier. We used rigatoni and thought it was perfect. Stirred some extra freshly grated parmesan into the pasta before serving (and then topped with a little more parm and freshly ground pepper). Yum! What a great dish! Both homey and stunning at the same time. 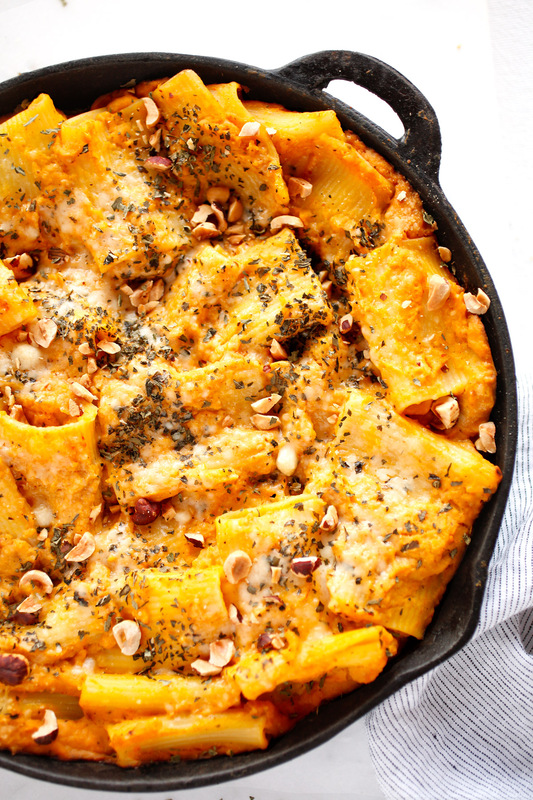 My husband just loves butternut squash as a pasta sauce base, but I’ve never tried it as a baked pasta before. The hazelnuts sound like such a unique, crunchy touch. I’m going to make this tonight! Reminds me of the flavor profile in a Gourmet Magazine butternut squash lasagna recipe from way back. A friend of my aunt’s brought it to Thanksgiving one year, and it stole the show. I’ve been making it ever since. Please more yummy veg recipes like this!!! In an attempt to eat healthier, I have butternut squash on my shopping list. Yet, I had no clue what I’d do with it once I got home. This recipe has solved my problem. I would actually try this with no cheese at all – It sounds tasty enough to cope perfectly. I love the sound of the addition of hazelnuts. Ali, you’re my favorite! I love the way you write and the way you write makes me want to write. I read this with a big smile on my face. We too have two dogs that love to roll in the mud during the January thaw. It used to drive us crazy, but now we just show them to the bathtub. I soap them up while my husband throws a few logs into the fireplace. Pretty soon we’ve got two clean dogs and a toasty fire to last us through the night. Have a great week, my dear! I always use a single space after periods. I never used the double spaces. This dish looks incredible. I would love to make your recipe. I’ve been trying to get a lot more active as well. I find that when i wake up, instead of just laying in bed, i get up and stretch, do yoga and meditate. Setting the overall tone of my day and allowing myself time to prepare for the day ahead. This recipe looks delicious! Ali, I made this for dinner tonight and it was really good! The only thing I did differently was adding some fontina and sprinkling the top with a generous pinch of flaked sea salt because I thought it needed just a little more salty umph. I ended up using my dutch oven from start to finish, so it was a one-pot meal. 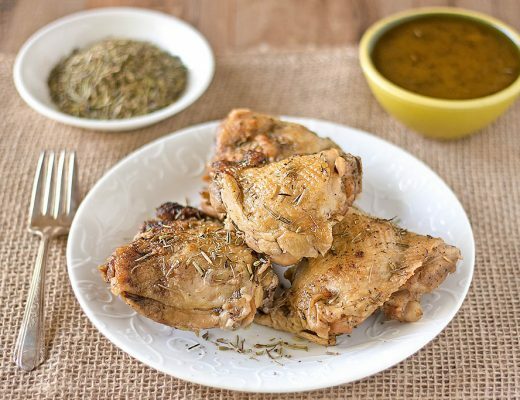 Gotta love health(ier) comfort food recipe ideas! Oh my goodness, this looks incredible! I’m always tossing butternut squash into my cart at the grocery knowing I’ll use it in some winter-inspired way! A couple of weeks ago I made your butternut squash soup with a Thai twist, using coconut milk, red curry, and Sriracha. So yummy! Now I’m excited to try this pasta. I love butternut squash in anything. It’s such a comforting fall and winter flavor. This pasta sounds like it would be delicious. Bty, have you ever tried Giada’s version with goat cheese? When I stopped to drop something off at my daughter’s the other night, she sent me home with some. Delish! That podcast list came at the perfect time! I just finished one and was looking for another one for my commute. But on the pasta, wow!! I seriously need to try this out ASAP!! This sounds so good. I love spicy butternut squash and hubby and I are trying to eat more veggie meals (I’ll switch the chicken broth for veg) so will have to give this a go. I’ve not tried butternut squash before but this looks divine! I could easy make this after a run for the boost of carbs and get in so much needed veg into my diet as well. I love the fact its creamy and added with a hint of sweetness. Shall be adding to my weekly meal planner for next week! I am glad your husband is home now and that you seem to be doing well with your challenge. 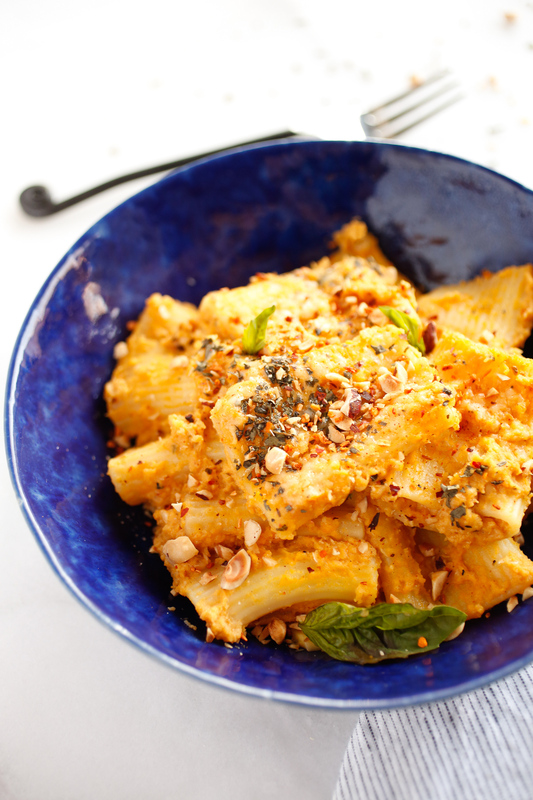 This pasta looks like the perfect family friendly dish – its pasta, creamy and flavourful! This pasta looks so good! I’ve only tried butternut squash a handful of times and I remember liking it. Awesome post. Thanks for the new recipe! I love making butternut squash pasta. Blended up it makes such a lovely creamy sauce and it feels much more indulgent than it actually is. Wow, heaven in a bowl! This looks incredibly good. Thanks so much, Ali! The first time I attempted my own take at combining similar ingredients to a butternut squash pasta dish, I didn’t get much flavour from it. I’m grocery shopping to make a butternut squash soup so I think I’ll pick up some extra squash and try your recipe, it looks yummy. Ah I’m glad that you and your husband are enjoying some quality time 🙂 This pasta dish looks incredible, a great combination of flavours! 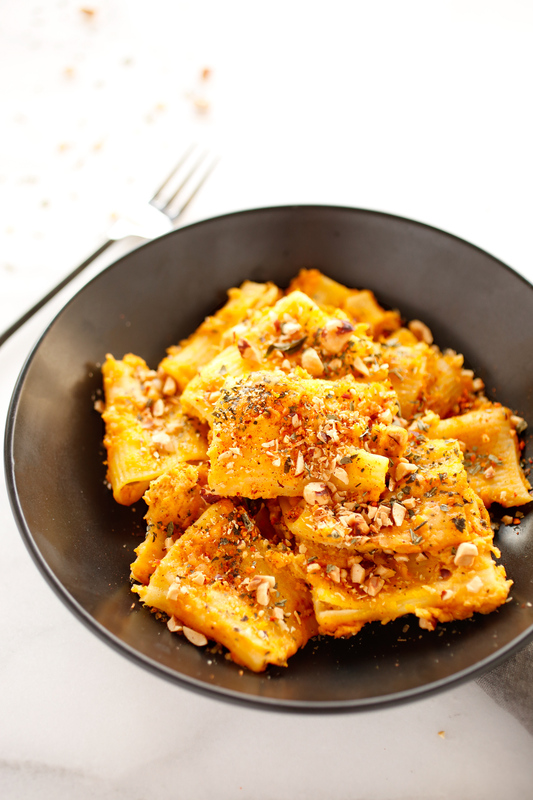 Wow, I never thought of incorporating butternut squash in a pasta but you gave me a great idea. I have for b-squash here that I can use. I think you have covered a wide variety of topics that fully cover my interests for the time being. I think we’re similar in age so it helps that we’re on the same page. Loving the pasta. I’ve had butternut squash ravioli before at the restaurant, but haven’t made it myself. The addition of hazelnuts/walnuts to this recipe sounds like a really tasty ingredient. On your blog, I’d like to read about gluten-free (possibly sugar free recipes) – I’m always on the hunt for some creative ones. We eat pasta a lot at home so I am always on the look out for new recipes, especially vegetarian ones, as my daughter gave up meat 2 years ago. I love the idea of using butternut squash as a pasta ingredient as I would never have thought about using it prior to this post. It looks so tasty!!! This looks delicious and it’s a great way to incorporate squash, which is so healthy for you but not always everyone’s top of the list. Looks like a great dish with a fall feel. Thank you! I have never tried baking butternut squash! This is another awesome recipe. This is another hit!!! I know there are many foodies out there, but your photos and recipes are always a pleasure to ‘’drool and crave’’ over. This looks so rich and good. I think I just need to come to dinner at your house ha ha. I’m really excited about the posts that you have planned and I wouldn’t have it any other way. I love reading your posts about life that’s intertwined with a great recipe nearing the end. This baked pasta looks like a little piece of heaven! Thanks for the beautiful recipe. Ali, the coolest thing happened. I sent the link to my husband today and when I got home from yoga he was pulling it out of the oven. I kid you not, such a great guy. The pasta was delicious and very wintery! We’ll be making it again soon, highly recommended. Generally I start with discussing your post, but I got to the end and my mouth just started watering from the description of the pasta with the cheese and the hazelnuts to top it op. Cheesy Crunchy goodness making my mouth water. Wow! As for things I would like to hear about this year, I am all for learning about some new and unique kitchen gadgets. Maybe it’s the guy in me. Or maybe it’s just me remembering all the kitchen gadgets my dad would buy my mom as a youth. Who knows? I think the big thing is just learning more about you as you do your recipes and your commentary about life and the world. Maybe go out there and take in a unique restaurant or two, or share some local faire or things you really love. It’s just so interesting to get to know more about the world you inhabit. Anyway, hope you had an amazing weekend and are having a great week this week. It’s nice that you have your routine that makes you happy. I have been busy with driving school during the past 2 weeks. I have my exam on Tuesday and I’m scared, haha. I like your posts, I like how you combine personal things that happen to you with recipes that are always different. And your photos are stunning. I’d love to continue reading your blog in the same format. I think I would like to see more smoothies, I am working through your other recipes already so I am good on those. I am thinking keto-recipes would be good too. Good on you that you stepped up your game at the gym! I have yet to continue on my fitness goals for this year. But it’s never too late haha! Anyhow I’d love to know more smoothies recipes. For now, this pasta dish looks delish! Worth a try! I make a similar pasta dish a couple of weeks ago with onions browned down into jam, chopped kale, and bleu cheese stirred in at the end. Seriously awesome stuff! 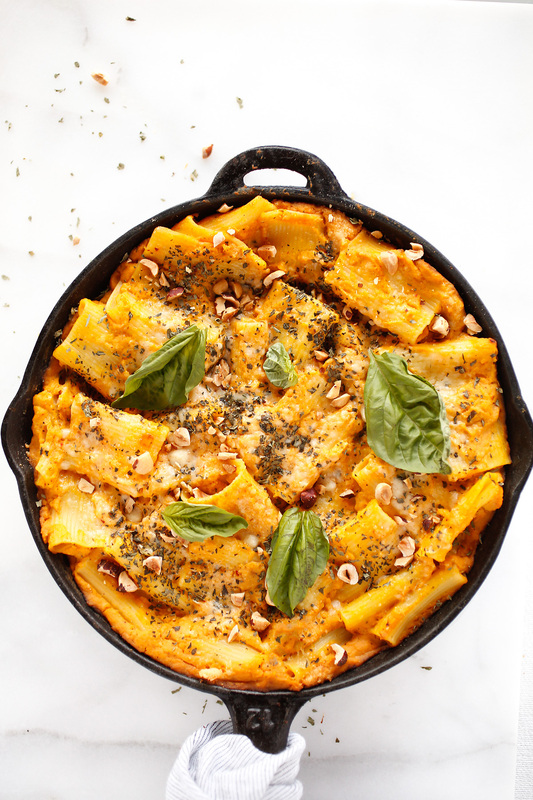 I loved this recipe of baked butternut squash pasta, it’s the perfect plate to be served on this cold days! The greek yogurt must make it so smooth and delicious. I am huge pasta lover and would love to try this recipe. It would be great to read about more smoothie and vegetarian recipes this year. Instant pin! I love butternut squash but didnt think to make it into a pasta like this! This looks super tasty! I love anything with butternut squash. I wish I had a working oven in my apartment! I’d be all about trying this. You must be so happy having your better half back home and enjoying some amazing treats from your kitchen:). So if I were asked what I would love to read at veggiesbycandlelight, is some tangy twisty veggie recipes and more of your parenting stories. As I grow as a parent, I’m sure I’ll learn a lot from your posts! And yes, lemme compliment, this pasta is gonna be my Sunday lunch! I love baking as a method, it’s the easiest for me, and surely cooks food thoroughly, haven’t tried roasting a squash yet though…looks like an easy to follow recipe, not to mention healthy. Thanks, I would get my hands on some squash after winter. Thanks for sharing! Okay, so I’m planning on having a me day soon, and my goodness is this recipe going to be my dinner! This looks so good! I feel you on the canceling plans and staying in. Winter makes me so antisocial! This dish looks fabulous. I love the toasted hazelnuts! Nothing adds such a wonderful depth to a plate as roasted nuts! Thank you for writing so beautifully! I recently started reading your blog after a friend told me about it. Reading your commentary is like having a good meal: I’m always sorry when I’ve finished, and I always look forward to next time. My friend just sent me a link to your blog this weekend. As crazy as this sounds, I like you. You’re someone I’d be happy to share a meal with. There’s nothing better than reading and conversing only about food to make someone feel automatically safe and comforting. The only downside is your blog makes me hungry. So I’ve learned that before I start to read, I need a good chunk of chocolate (or cheese) within reach! I make buttenut squash lasagne but I have never thought to use the squash to make the pasta sauce with. What an awesome idea, I am loving it and I am definitely going to use this idea for my next pasta bake. That recipe looks lish! I’d love to see some dog treat recipes. I love making special things for my pups. I would like to see more quick and easy family meals. I find it hard to find recipes for things that all 6 of us can enjoy and that don’t take forever to cook! 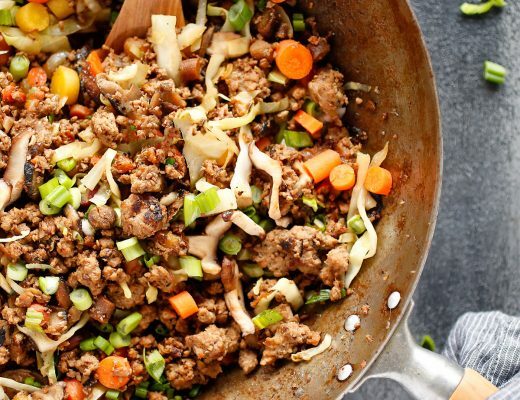 One pot dishes are always a hit!